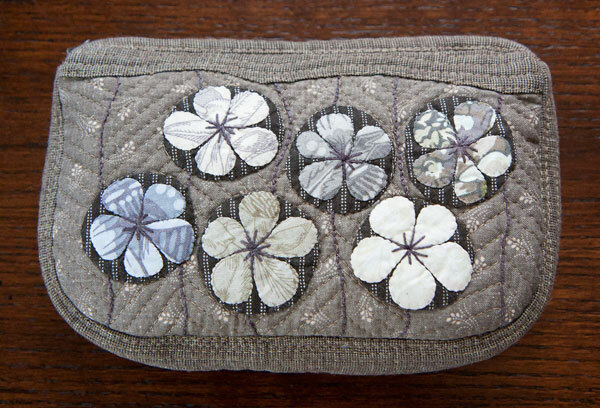 I found this pouch in a book by Yoko Saito and immediately knew I wanted to make it. 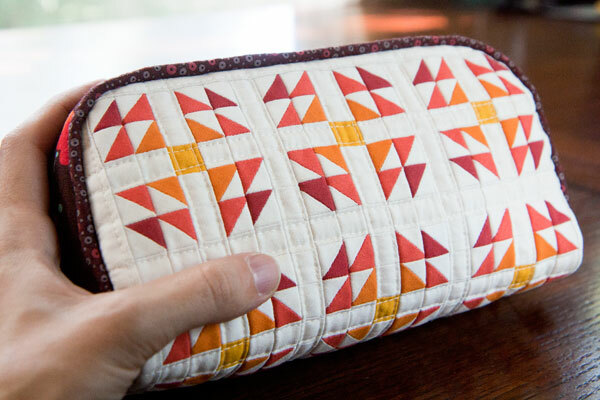 I love love love this pouch, even though this is totally not my normal color palette. The instructions were in the Japanese style (almost no words—just brief illustrations, no seam allowances on pattern pieces, and all measurements in metric), so there was a bit of puzzling, but I managed to muddle through! 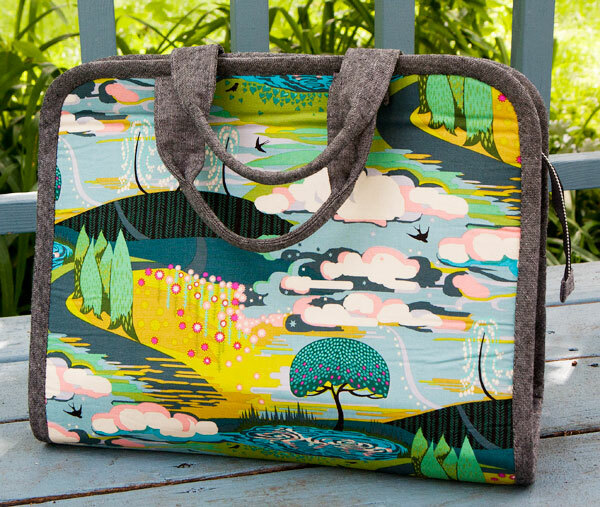 So I’d been admiring the Craft Passion Wide open pencil case for awhile, but the thought of doing piping on the outside of a bag around curves was making me hesitate (for good reason, apparently!). I finally decided to just try it and hope for the best! 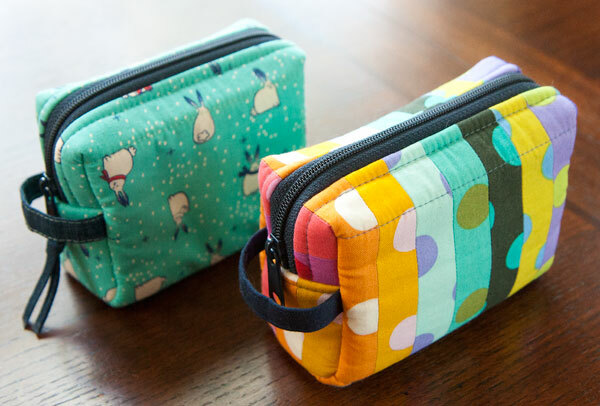 I’ve been resisting making these macaron zipper pouches I’ve seen all over the internet because they looked really putzy and their small size didn’t look super useful. But I finally broke down (the cuteness won me over). I’m glad I did! 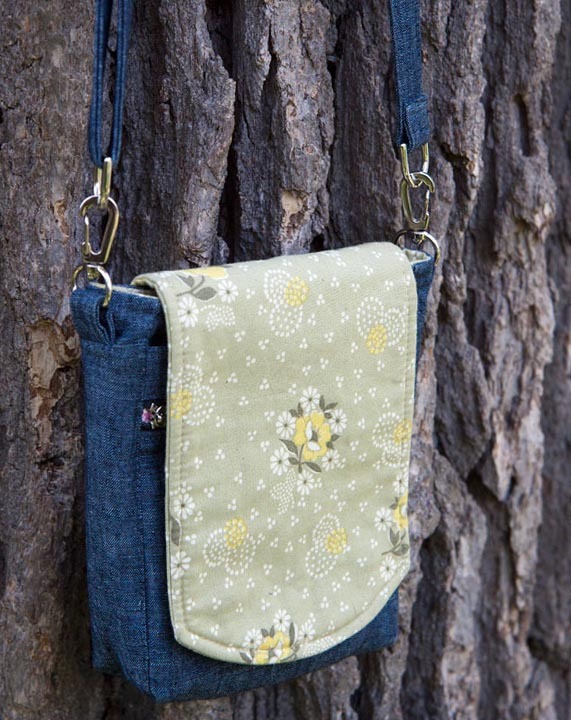 Ok, less than a minute after I found the Devon pouch pattern it was in my cart and on my list for this project. It just looked so stylish and well-crafted! I was so right to pull the trigger on this one—it is definitely one of my top five favorites of the whole series, and will feature in many teacher’s gifts in the future. 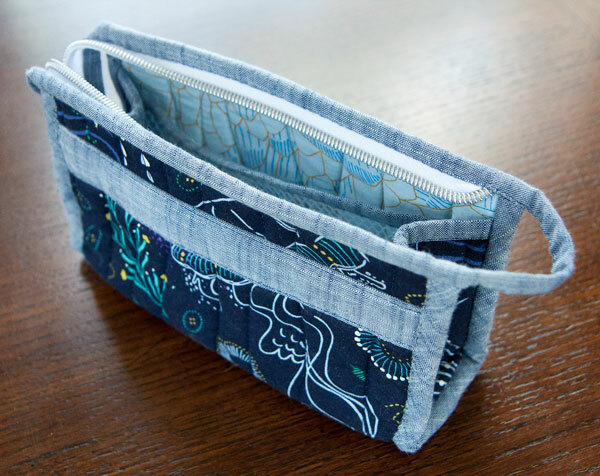 I’ve been wanting to make a little boxy pouch in this series, but I had so much trouble finding a free tutorial for one I liked and hadn’t made before! 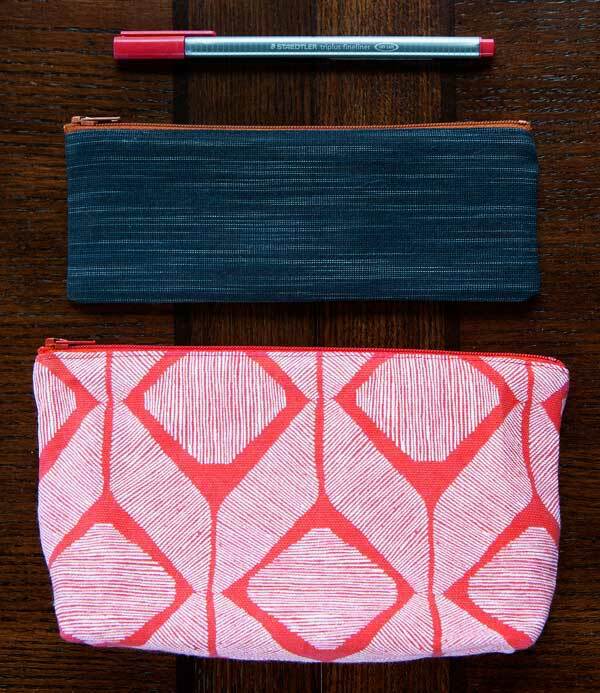 Finding a good boxy pouch pattern isn’t easy—so many have raw edges inside, which kind of drives me a little crazy. 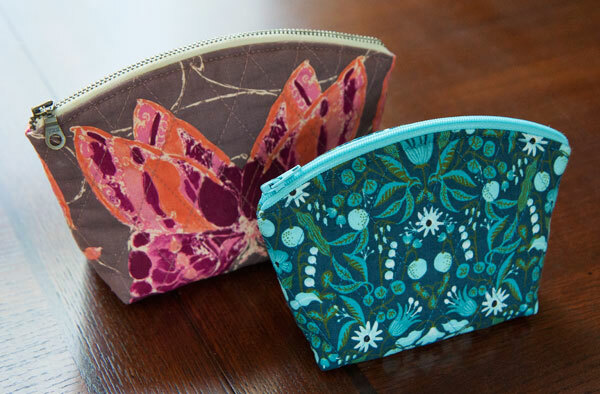 I came across these little Lilly cosmetic bags by Lala Fab when browsing zipper pouch ideas and had to make them! The pattern is free, but it’s in German. My German is not good and I still managed to muddle through, so if you have some experience with zippers I think you can handle it. So this time I wanted to make something smaller that would both stand up on its own and open wide enough that I easily reach inside. I came across the Open Wide pouch and thought I’d give it a shot! I made the smallest size in the pattern. 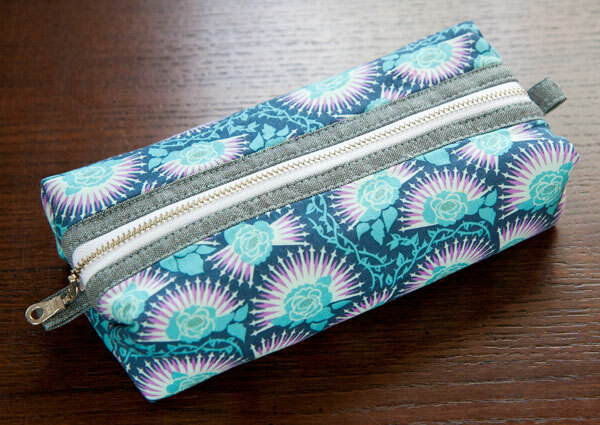 For this pouch, I wanted to make something that would be like a pencil case that would hold some pens and markers separately from a notebook or sketchbook. I came across this Close at Hand case and thought it looked super cute! 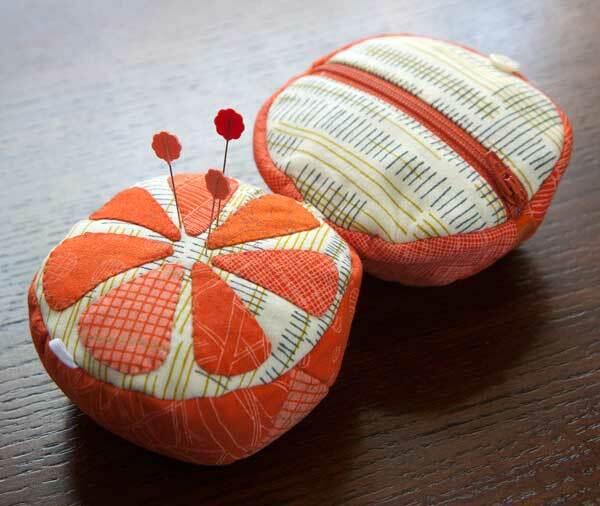 Several years ago I came across a super cute pattern for this apple or orange-shaped sewing kit. I started the apple immediately but it wasn’t turning out as I wanted so I abandoned it. Fast-forward to this year and I decided to give it another try, though this time I thought I’d do the orange instead of the apple. So I decided to make another doctor-style bag. This one is by the same designer as The Cube bag that I made earlier; it is a much larger version. The idea was that it would hold a lot of my misc. stuff for retreats and sew days as it looked pretty big! Before I left on my big trip, I had a request from my middle son and my husband to make very simple, plain pencil pouches. 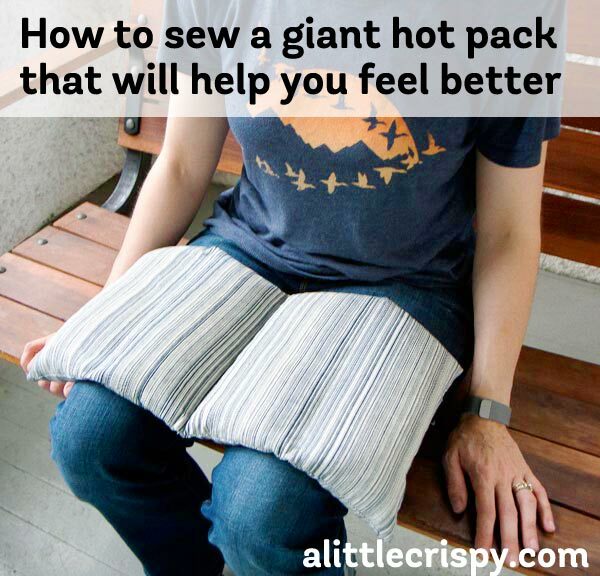 I know that getting the size for these “just right” can be tricky based on previous attempts at such things–there is a pretty narrow margin of good sizes for pencil pouches! 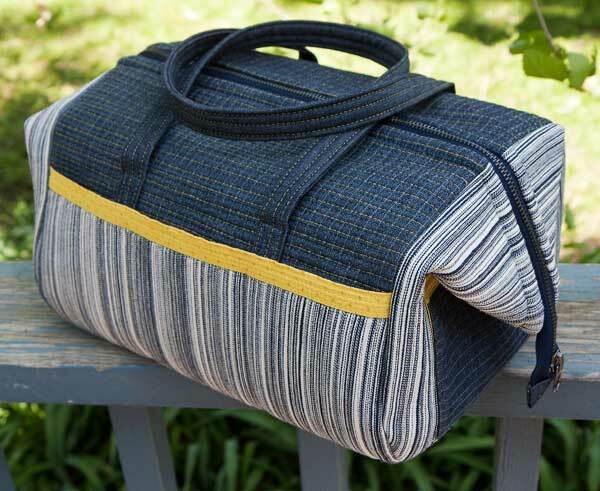 Last year I finished the small size of Noodlehead’s Maker’s Tote and I totally loved it. I wanted to make one in the large size as well, for times when I needed to carry even more things! 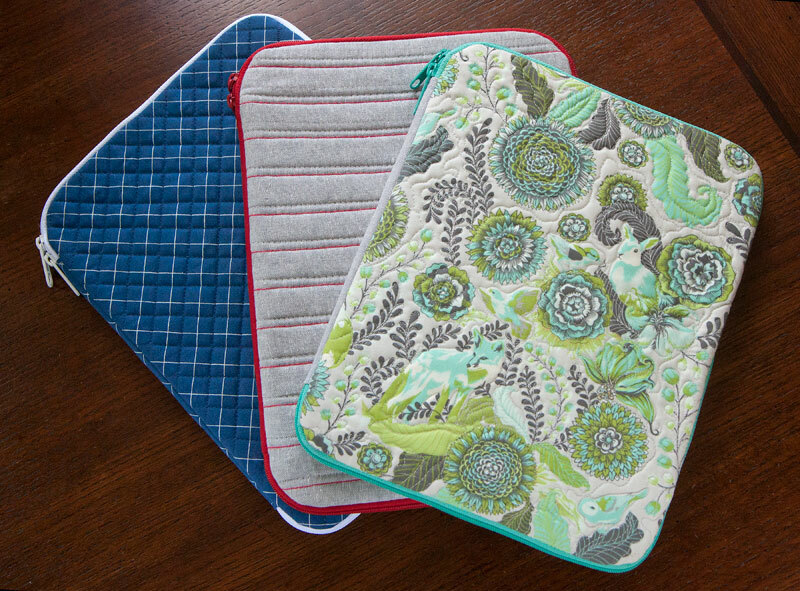 So I’ve already made the Creative Maker case by Sew Sweetness in “small” and “medium” sizes. It was time to make the large! I made one large case for each of my three kids for travel. 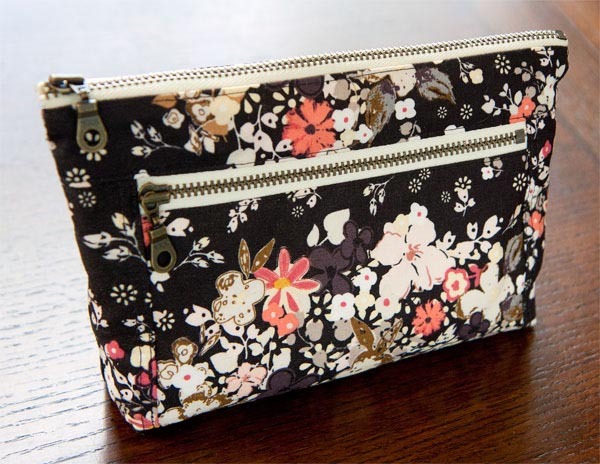 For this zipper bag, I was hoping to make a new toiletries bag for traveling. 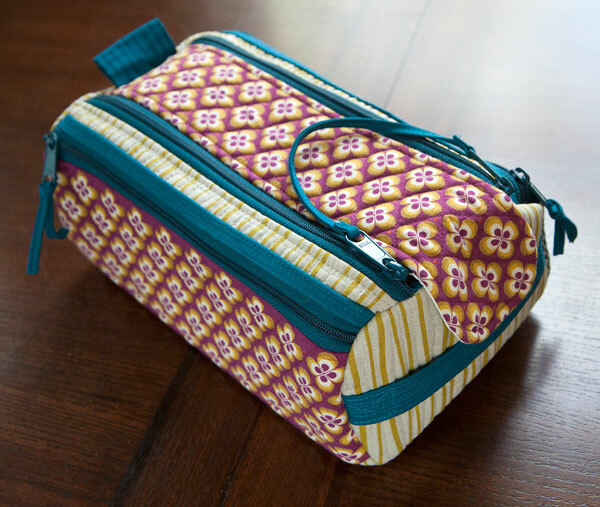 The Double zip gear bag by Annie’s looked perfect and I was super excited to make it! 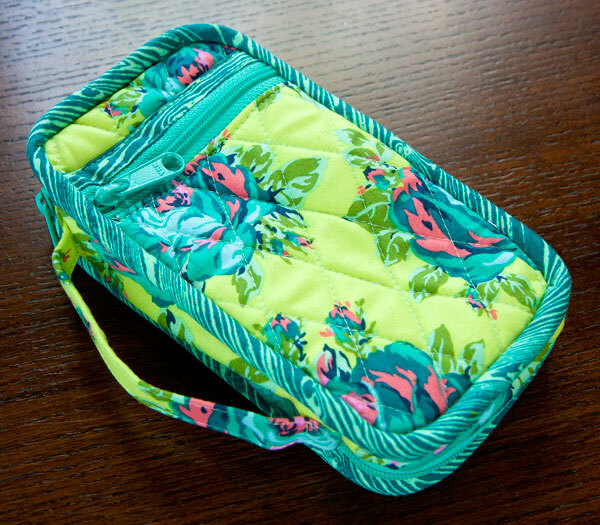 So in the Spring and Summer, I like having a small purse that holds only my phone, wallet, keys, and a couple other small things when I need to run out for errands and such. I had a bag like this a few years ago (a Goodwill find), but it disintegrated and I hadn’t managed to find one I like since. 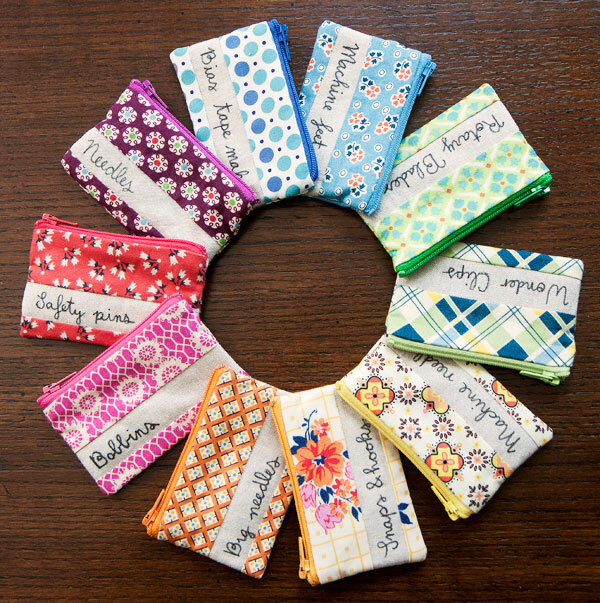 In the past year or so, I have spent a lot of time browsing different zip pouches and have seen so many creative ideas. 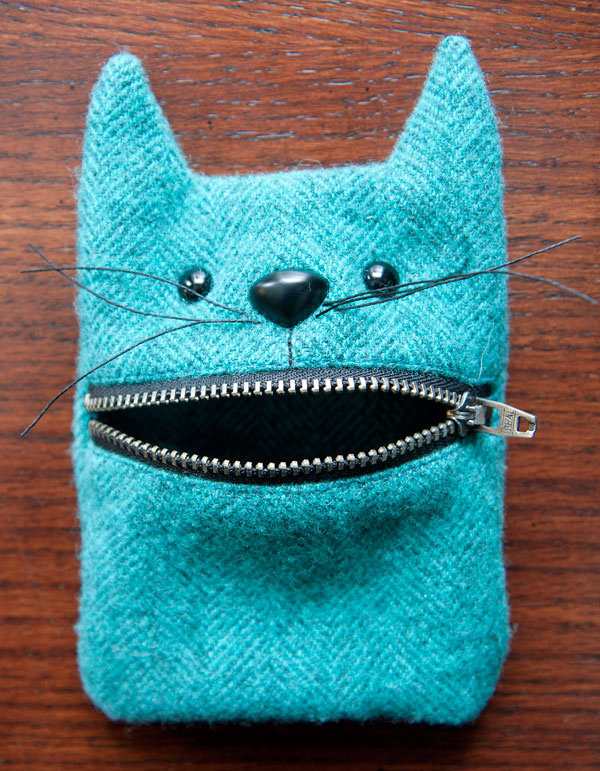 When I came across this series of photos, I absolutely had to make it as a coin pouch for my youngest son, who is cat-crazy. 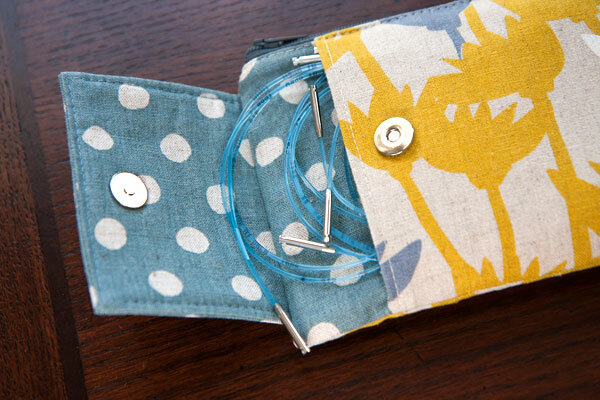 So this week I made the Brigitte needles & notions pouch using the free tutorial by Very Shannon. 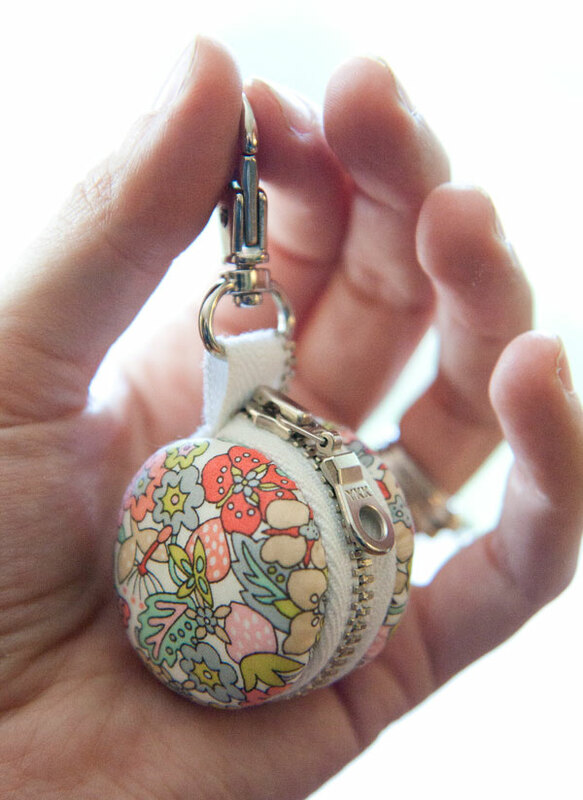 It’s a very cute little bag that I thought would be perfect to hold my two Addi-click interchangeable circular knitting needle sets. The cases that the sets come with are super bulky and I don’t really like them. They definitely are too big to travel with. So this week I made a zipper pouch for my youngest son to hold his colored pencils. 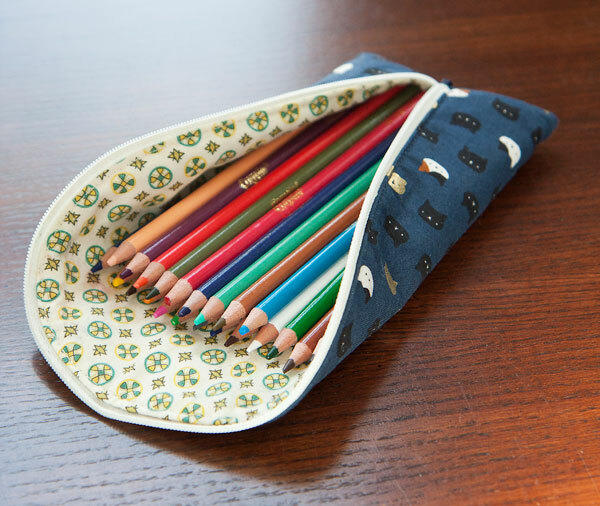 I wanted something that would open wide enough to expose all of the pencils so he could see and choose colors easily instead of rooting around in a dark pouch.